Hoa's colleague gave him a huge bag of apples (15 of them) and they have been sitting on my fruits bowl for a few days now. It just looks like they are going to sit there for a while unless I am going to use them to make a cake. 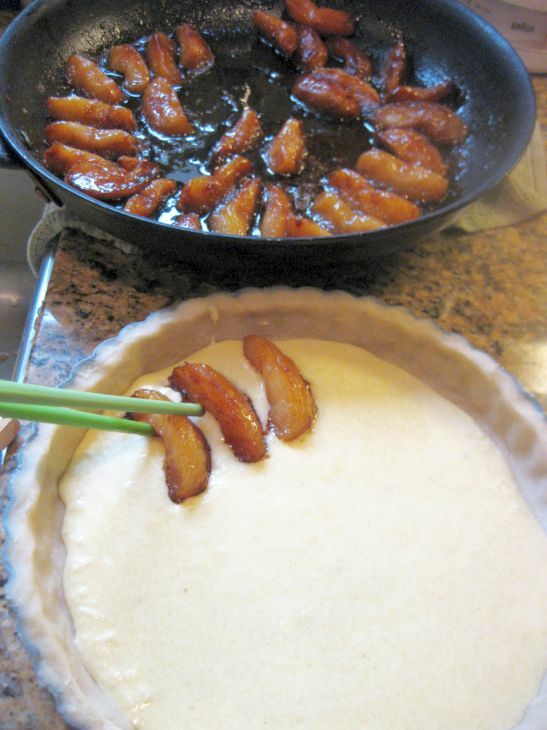 Since there are so many apples, the best way was to caramelized them but I did not want to made a tarte tatin this time! 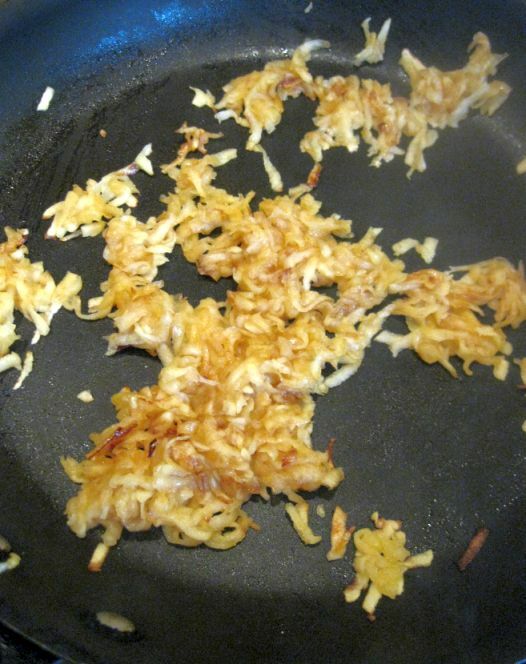 So after caramelizing the apples I thought I could add another layer of flavor but grating a few more apples and then I sautéed them in butter and sugar. 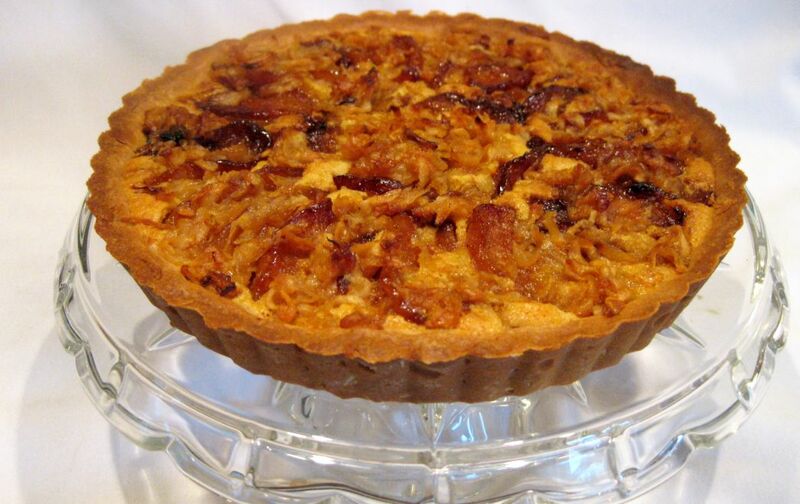 Next, I decided that I need a filling to tie the whole thing together so I went with an almond filling and that's how my tart was conceived. 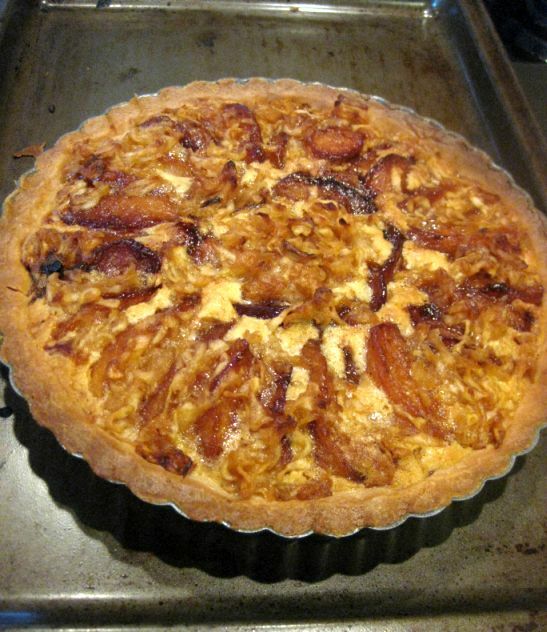 The Combination of the caramelized apples sitting on a thin layer of lightly nutty almond cream, the grated apples sautéed in sugar and butter and then the crunchy crust that holds everything together gives this tart a wonderful and warm feeling. Each bite bring is so delicious that it brings a smile to my face. 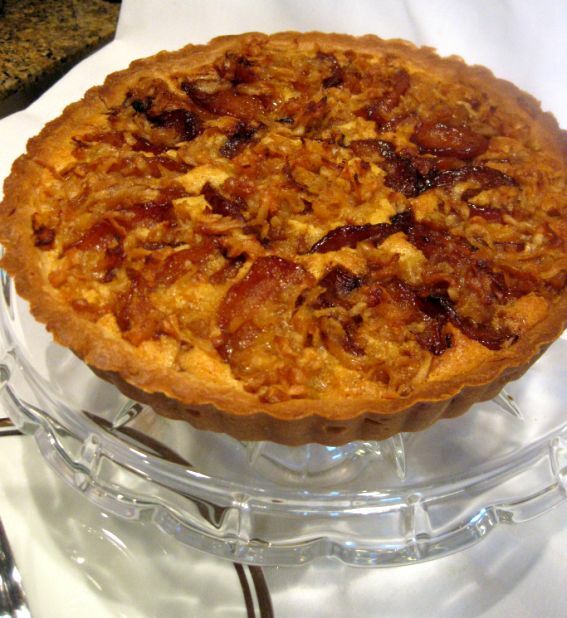 This tart is so great with a hot cup of coffee! 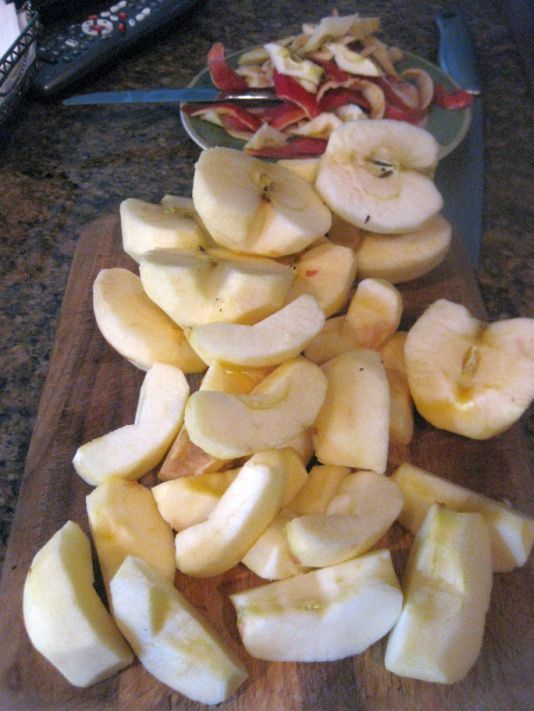 Peel and core 6 apples and cut them into quarter (to be caramelized) and set them aside. 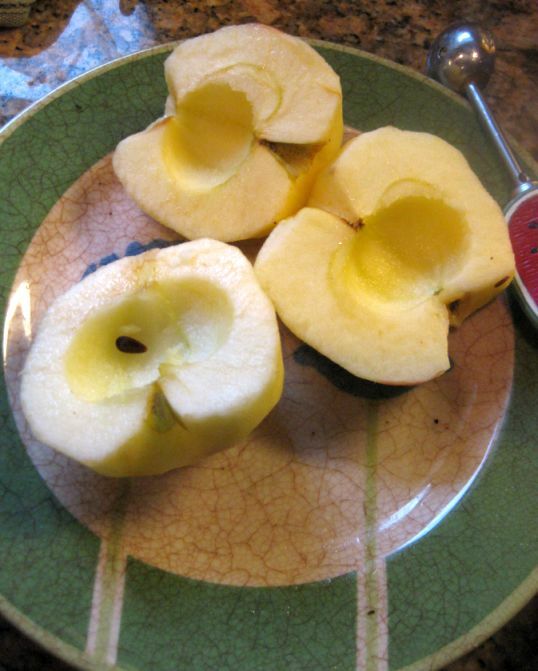 Peel and core the remaining 2 apples but cut them in half so that you can grate them. 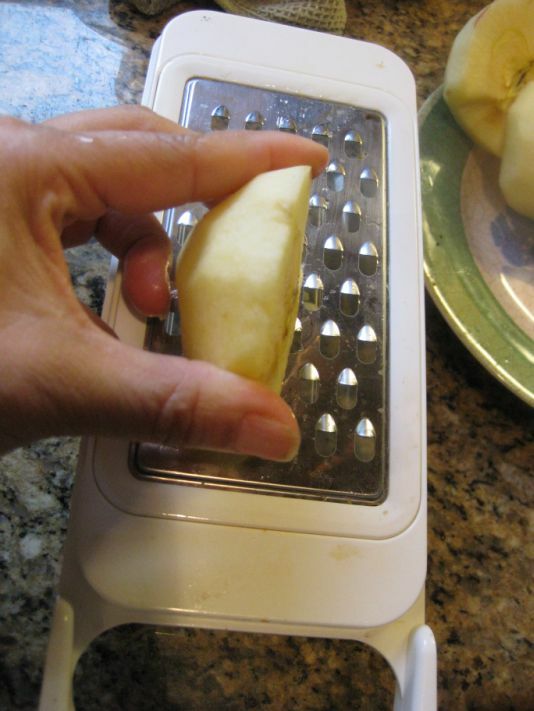 Using a mandoline grate the apples (2 whole apples). 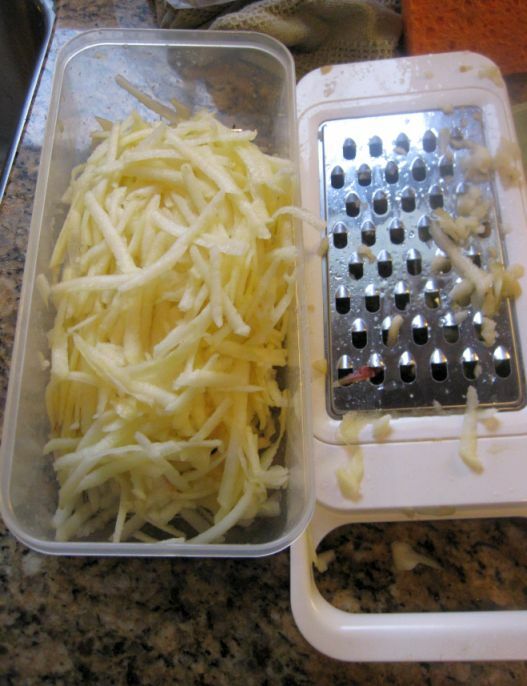 This is how it looks like when the apples are grated. 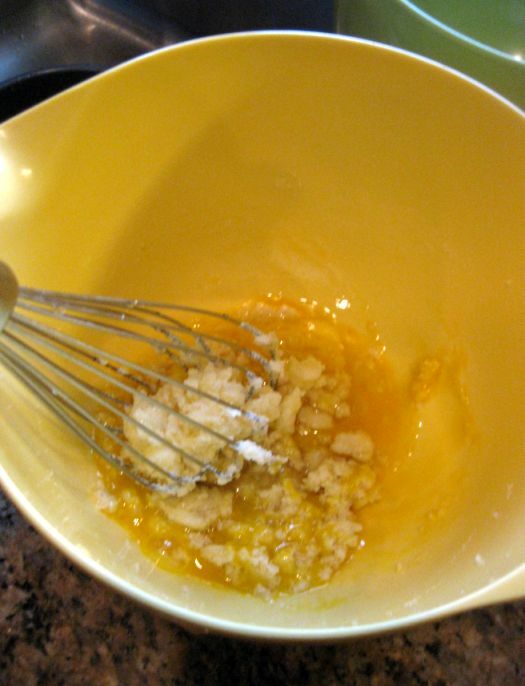 I large pan, melt 1 tablespoon of the butter and 1 tablespoon of sugar over high heat. 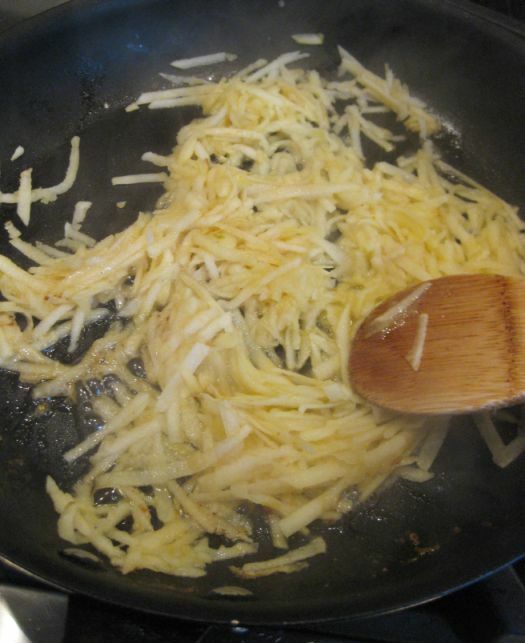 Add the grated apples and cook. 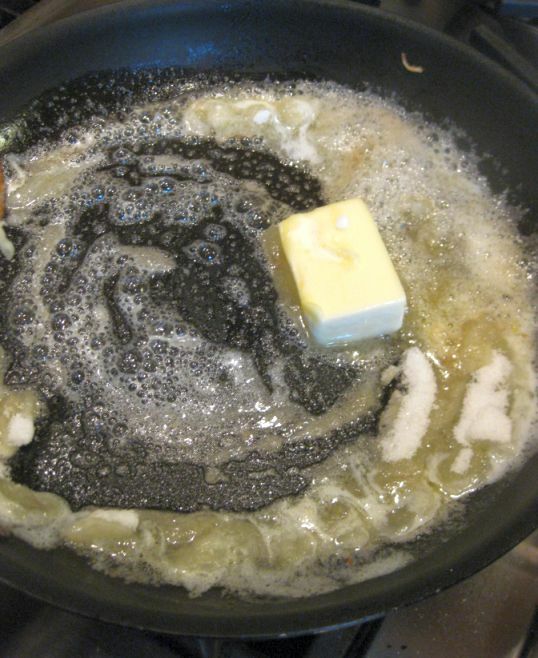 Melt the remaining 6 tablespoons of butter and the rest of the sugar in a large pan. 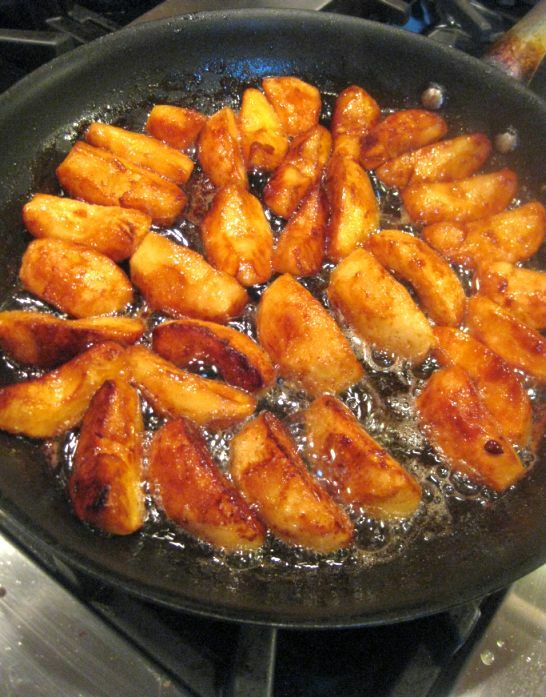 When the butter is bubbling toss in the apple slices. 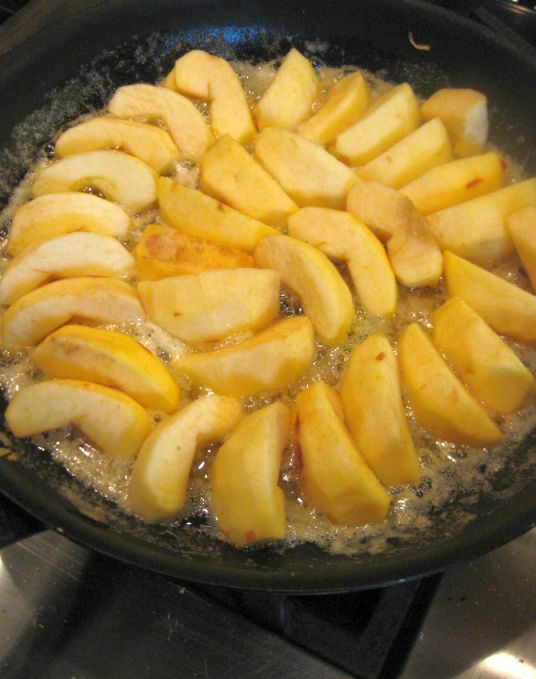 Cook the apples and move them around frequently until they are caramelized. 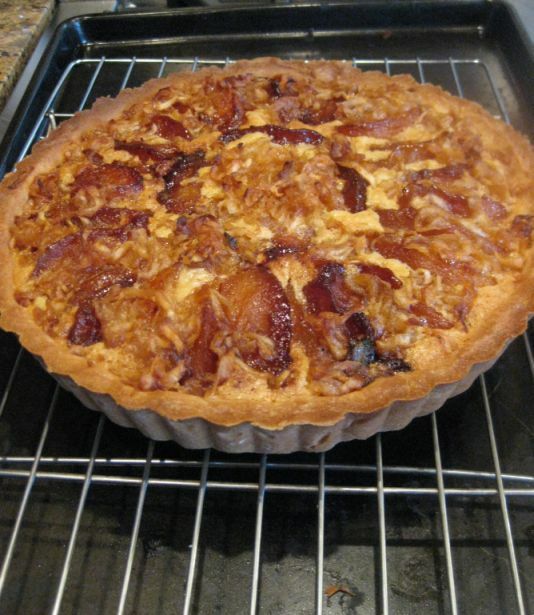 You will need to keep an eye an the apples and rotate them so they are evenly caramelized. 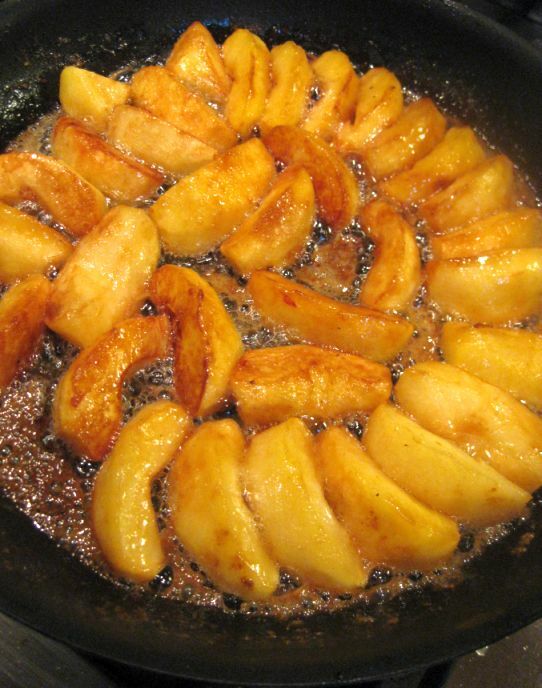 Here they are caramelized, the color of the apples are deep golden brown. 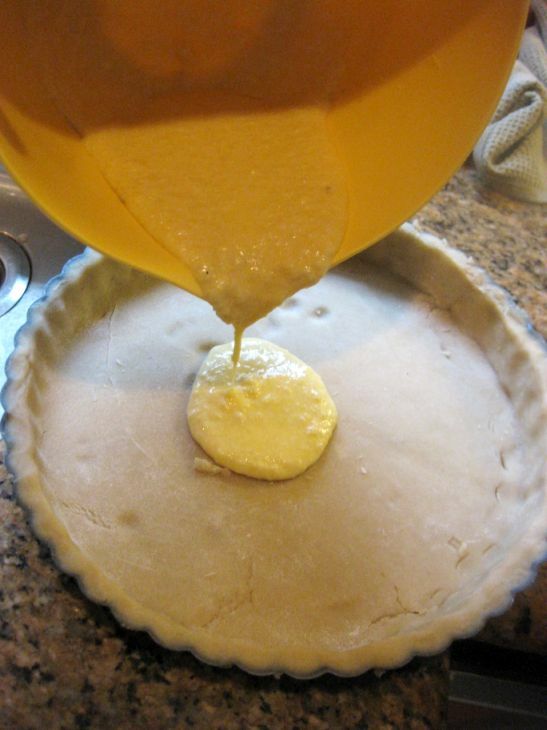 Roll your out your Pâte Sucrée and line a tart mold and set aside. 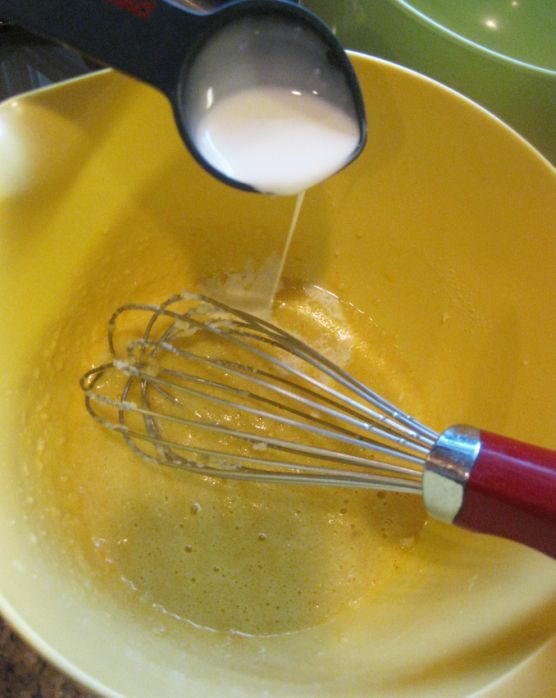 In a medium bowl beat the butter and sugar until the sugar is dissolved and stir in the eggs. 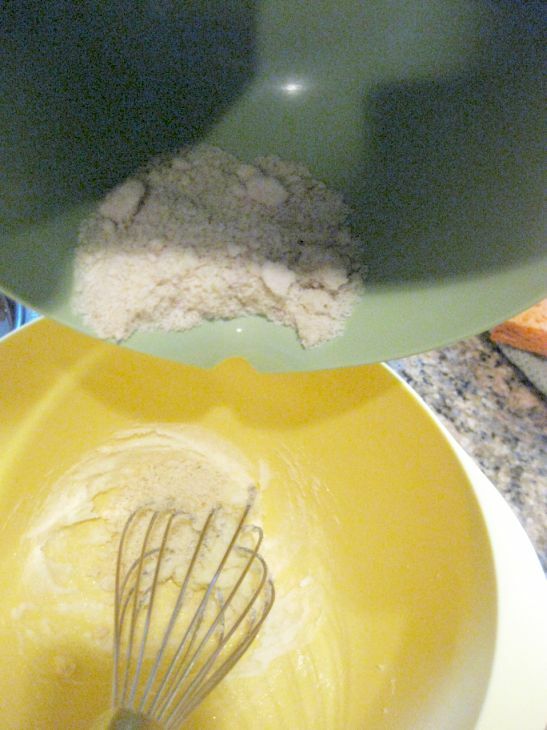 Whish in the almond and keep beating until the mixture is blended. 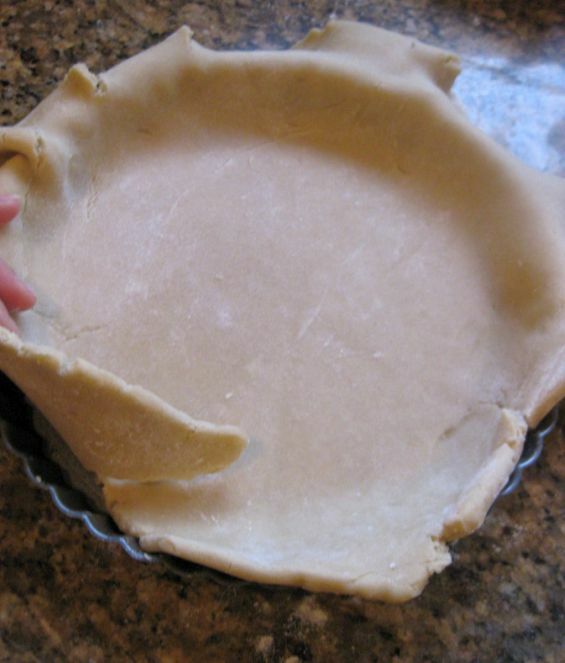 Pour the almond cream in crust. 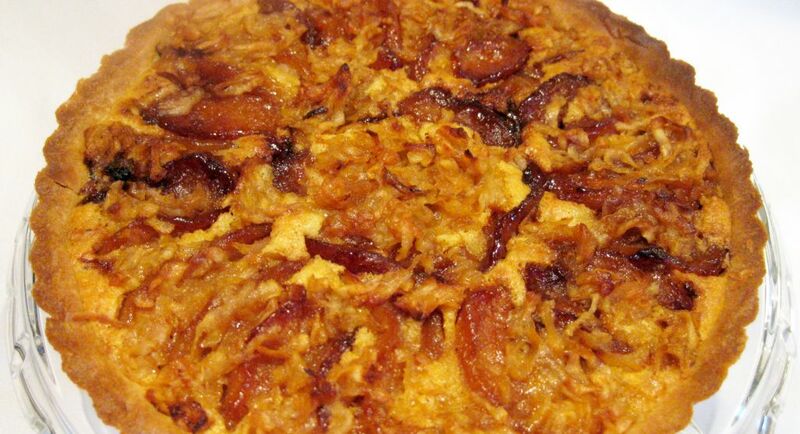 Arrange the caramelized apples attractively in a single layer. 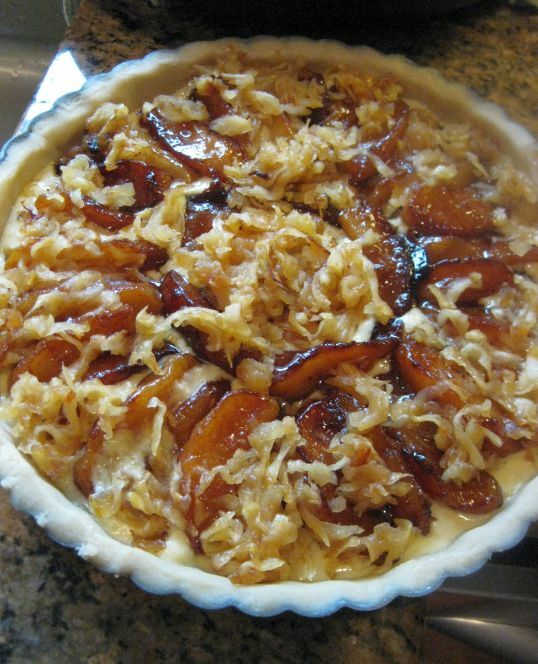 Add the grated apples all over the tart. Preheat the oven at 350 degrees. 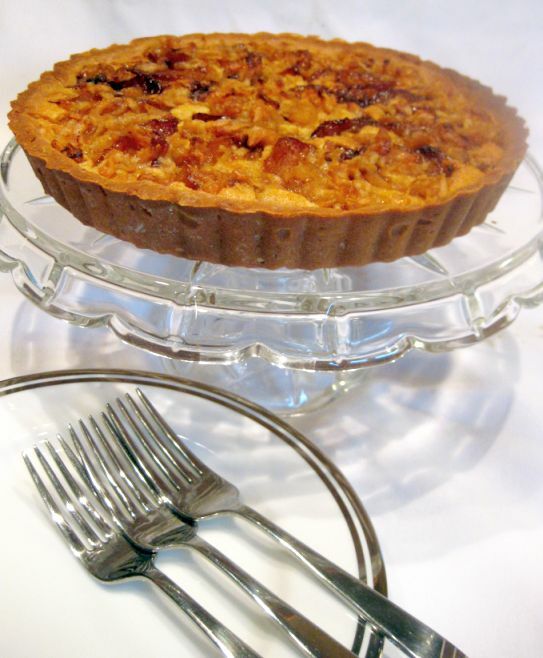 Bake the tart for about 40 to 45 minutes or until the almond cream has puffed and the apples are beautifully browned.